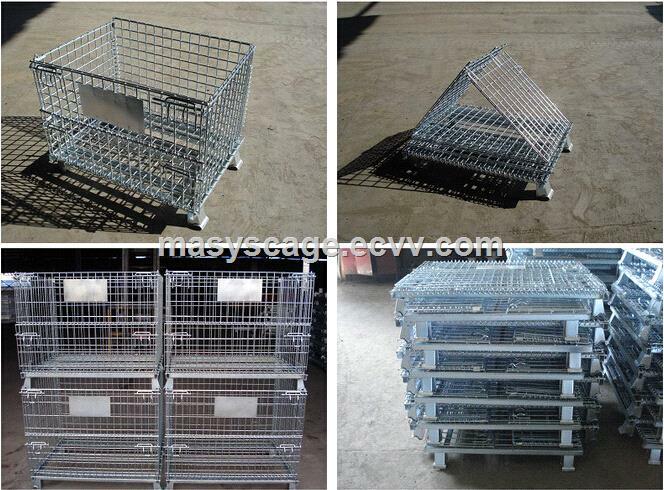 Steel Structure Warehouse Foldable Galvanized Wire Mesh Cages have the uniform specification and fixed capacity that makes the inventory easily clear, sort and count, so as to improve the utilization ratio of warehouse efficiently. 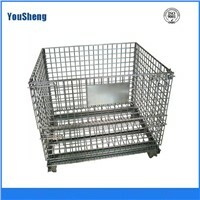 Moreover, the sturdy and durable product is easy to carry and can be recycled. 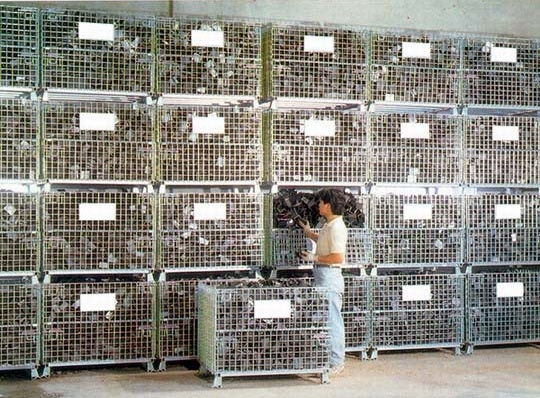 The improved wire container can be stowed in the rack and assembly line and can also be stacked. 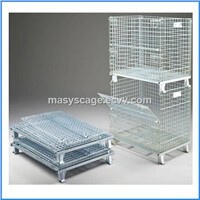 (1).Stackable Storage Cage is made of high qulity iron material and formed by cold harder welding. 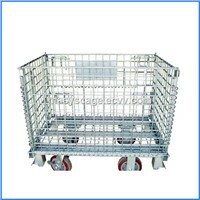 (2).Folding structure makes loading .Revolving and storing much convenient. 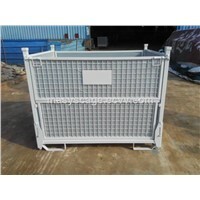 (3).The surface treatment is zine-plated,so it is beautiful and durable and there is no pollution in every process. 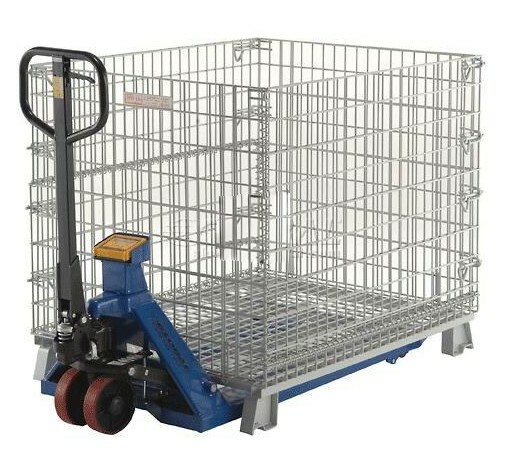 (4).It is proper for moving work of workman,crane,trolly,pallet truck. 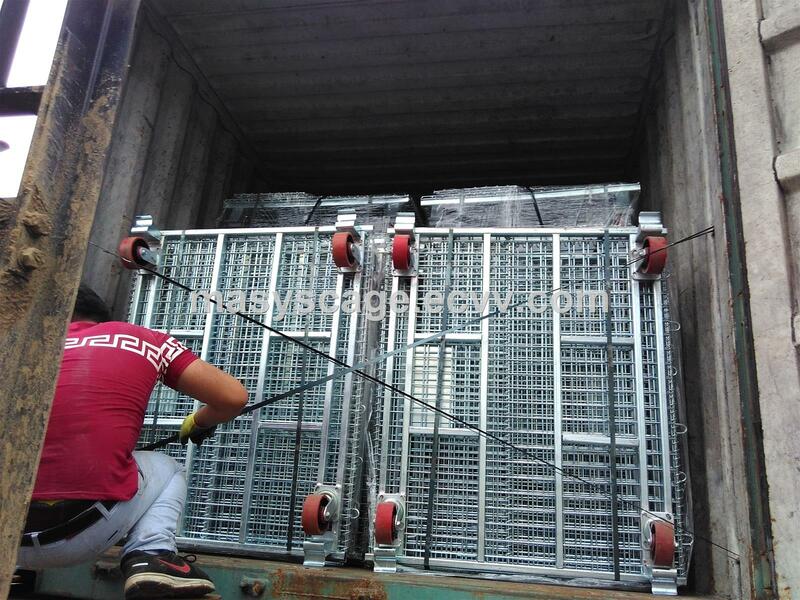 The goods can be easily accessed because the gate can open. 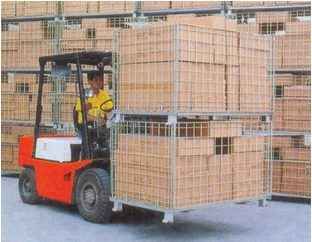 (5).It is in accordence with international stanndards,and can be used with containers. It is also the replacement of wooden cases. 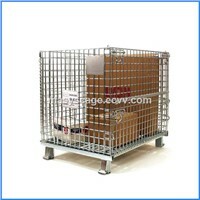 (6).Can be used in workshops and supermarkets for sales promotion and storage. The following is our company standard specifications.If there are not suitable one for you, we also accept your customized design.